Jr. Computer Assistant (JCA): Applicants who have completed Graduate in any discipline from recognized University or equivalent. Must have at least 6 months Diploma in computer application. Special Requirement: Knowledge of software + Experience in a similar job in any organization of repute preferred or equivalent from a recognized Institute for MSTC Recruitment 2018. Stenographer: Applicants who have completed Graduate in any discipline from recognized University or equivalent with English or Hindi as a subject, as the case may be. Must have diploma/certificate in a professional Secretarial Course. Proficiency in computer application is essential. Special Requirement: Stenography & Typing Speed – minimum 80 w.p.m. in stenography & 40 w.p.m. 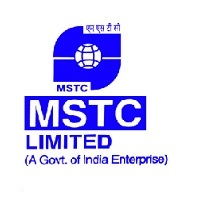 in Typing or equivalent from a recognized Institute for MSTC Recruitment 2018.